Karen C. Burgess is a trial lawyer—Board Certified in Civil Trial Law by the Texas Board of Specialization. Her practice ranges from trade secret disputes to securities, contract, insurance, real estate, oil and gas, partnership and fiduciary litigation. Karen is a fellow of the International Academy of Trial Lawyers, an honor limited to 500 lawyers in the United States, and she was recently appointed to the Executive Committee of its Board of Directors. An active member of the American Board of Trial Advocates, Karen serves as the elected treasurer of ABOTA’s National Board of Directors. She was honored to serve on the Faculty of the American Board of Trial Advocates National Trial College at Yale Law School in 2018. Thomson Reuters has named Karen a Super Lawyer and has included her as a “Top 50 Women Super Lawyer in Texas” as well as a “Top 50 Central & West Texas Super Lawyer” in multiple years. In 2011, Karen was selected a “Winning Woman” by Texas Lawyer, a designation reserved for only twenty attorneys in the state of Texas. The Travis County Women Lawyers Association chose Karen as Litigator of the Year for 2012. Lawdragon has repeatedly named Karen one of The 500 Leading Lawyers in America, and The Best Lawyers in America® lists Karen as a Best Lawyer for Commercial Litigation. Most recently, Stephanie and Bill Whitehurst named a University of Texas School of Law Public Interest Fellowship in her honor, and the University of Texas School of Law named her the 2018 Alumni Mentor of the Year. Locally, Karen is the 2018-2019 President of the Lloyd Lochridge American Inn of Court has, and she serves as a co-chair of the Austin nominating committee for the Texas Bar Foundation. Karen is a frequent speaker on Business Torts, the Trade Secrets Act and the Fraudulent Transfer Act as well as other litigation topics, and she has served as course director for the University of Texas Page Keeton Civil Litigation Seminar and TexasBarCLE’s Business Disputes Course. 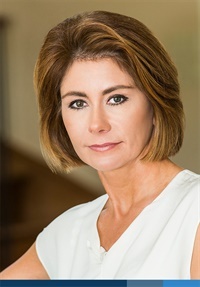 She has co-chaired and spoken at the Austin Bench-Bar conference, the Hidalgo County Bar Association David H. Hockema Civil Trial Law Conference and the American Bar Association Intellectual Property Law Conference in Washington, D.C.
Karen is active in the community. She is the immediate past President of the People’s Community Clinic Foundation Board. Karen serves on the Foundation Board for the Ann Richards School for Young Women Leaders, has done committee work for the Paramount Theater, and is an elder of the Westlake Presbyterian Church. Before practicing law in Austin, Karen earned her B.A. in Economics, Spanish, and Policy Studies from Rice University—where she had the opportunity to study at the Universidad Catolica in Valparaiso, Chile.